Revive Bath & Body: Australia Bound! That's right, I'm flying out to Australia tomorrow night! One of my good friends named Jordan moved to Bella Vista, Australia in August to attend Hillsong International Leadership College. When she suggested that I visit her for spring break, I doubted that would ever be a possibility. However, I found a standby plane ticket that I could afford, so I will be on my way tomorrow! I am super excited for this adventure; I've only ever been on an airplane once. If you have been to Australia, what are some things you suggest I see or do while I'm there? Bella Vista is about 20-30 minutes north of Syndey. I will be there for two weeks! I know I want to visit Bondi Beach and Manly Beach, and maybe even take a surfing lesson! 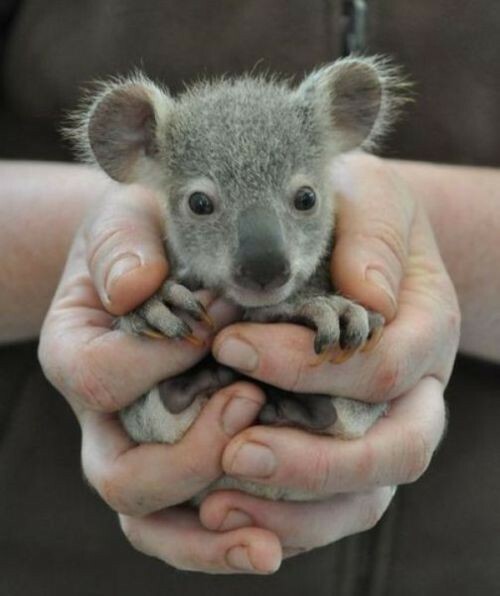 I also know I want to cuddle with a koala if possible. I mean, how many opportunities do you get to go to Aussie and hold a little koala bear? Although it would be awesome to go to the Great Barrier Reef, that would be about a 4 hour bus ride from where Jordan lives. Jordan told me that there are a bunch of local markets in and around Sydney that I'm going to love. I can't wait to experience the different culture! Have a blast Caitlin. I've wanted to visit Australia for some time so I'm looking forward to your photos. Yes, I've heard Bondi beach is great. I've also heard Hillsong is amazing too. Enjoy your time away.